Reblogged this on Josh Betz on WordPress.com. I’m in the midst of using WordPress for the first time. Welcome anything that will make it easy to use. Looking forward to developing my first blog with it. I didn’t really do much on the site relaunch but I’m happy to see it live. 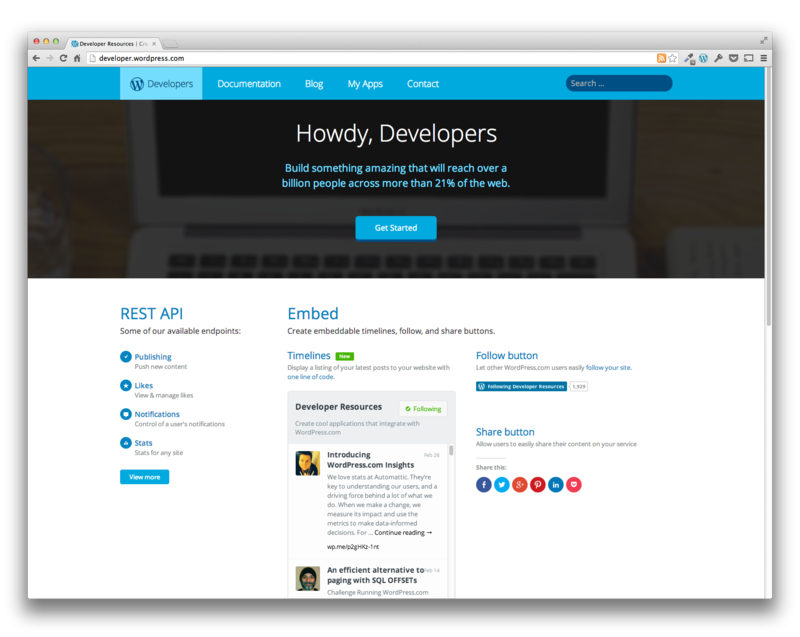 The REST API and a lot of the resources found on the developer site are some of my favorite projects at Automattic and I’m glad they have a better home now. I’ve provided my views on this here http://internetmarketingplatinum.com/wordpress-com-developer-site-relaunched/ and they are positive ones. Well done guys. I’d consider myself a moderate user of the developer site and an avid WordPress developer. Now everything is easier to find. Reblogged this on pablosound blog wordpress.